Sonos has released the Sonos Controller app for the Apple iPad, it is designed to work as a controller with your Sonos music equipment, like the Sonos Multi-Room Music system. The Sonos Controller for iPad™ lets you control what music is playing in every room in your house, from anywhere in your house. And it connects to the Sonos system over your home Wi-Fi network. It features a multi-pane view so you can see and control everything, all at once—your music menu, what’s playing in every room, the volume, and what’s in your queue. You can browse, search and drag and drop to create the perfect playlist. And do it all in either landscape or portrait mode. When the music is playing, the full-color album art fills the screen so you can see it from across the room. The Sonos Controller ipad app lets you wirelessly stream songs and radio stations around your hoise, you can also stream music from your iTunes library or play music stored on your computer or network device. 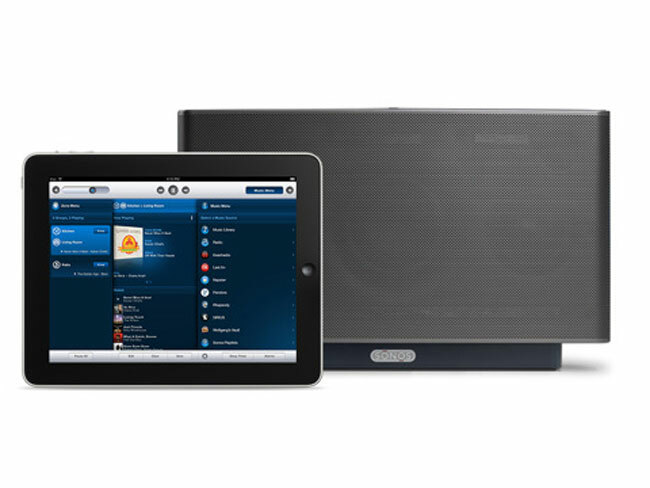 The Sonos Controlled iPad app is available as a free download from iTunes.